Happy New Year!. 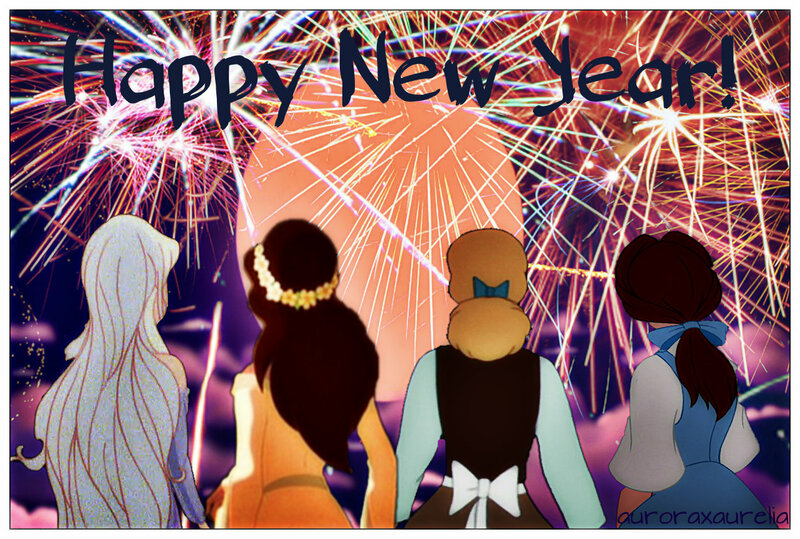 Watching the fireworks.. HD Wallpaper and background images in the 迪士尼跨界（crossover） club tagged: disney crossover warner brothers rankin bass productions lady amalthea kayley cinderella belle new years. Which BatB film is the Belle pic from?